Firstly, there are natural acne treatments that work. Secondly, these natural treatments can sometimes be compared in effectiveness to prescription medications and chemical solutions. And they can do this without some of the irritating and harmful side effects on your skin. In a world that’s becoming ever more health conscious of the things we use on our bodies, a return to the use of natural remedies is increasingly popular. Everyone’s skin is different, and what works for one person might not work for another. So a little bit of experimentation is sometimes needed to find a routine that works for you. Here are forty-seven home remedies for clear skin. People have been utilizing the therapeutic effects of honey face masks for thousands of years to cure acne lesions, wounds, scars, and blemishes. As people look for more natural ways to treat skin conditions, the use of honey for face masks is having a big revival. One of the conditions honey can be used for is acne. It’s the hydrogen peroxide content and a protein added by bees called defensin-1 that are known to give honey its antibacterial powers (3). In particular, manuka honey has been the subject of a lot of scientific study because of its high level of antibacterial activity and has become a very popular choice with practitioners of natural skin care. Cinnamon is well known as a spice used in cooking, and found in kitchens all over the world. It contains the oils cinnamyl alcohol, cinnamaldehyde, and cinnamyl acetate, which provide antiseptic, anti-microbial and anti-fungal benefits. Its antibacterial properties have been demonstrated in scientific studies (4). 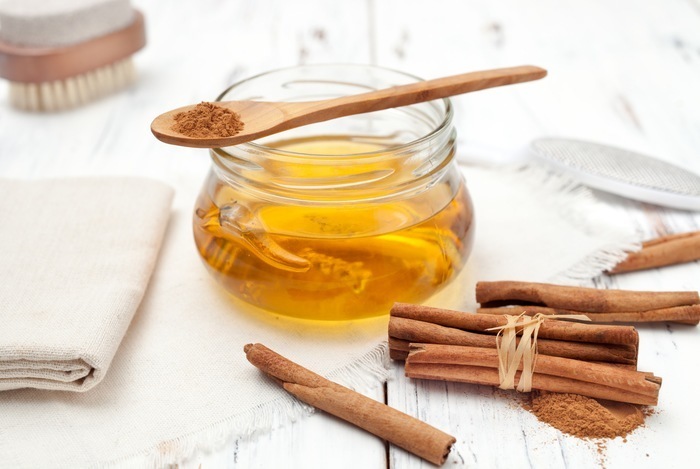 When combined together you have a honey and cinnamon face mask that provides an efficient natural remedy for getting rid of your acne spots. 1. Purchase a jar of organic raw honey and a jar of ground cinnamon. 2. Measure out 3 tablespoons of honey and 1 tablespoon of cinnamon into a bowl. 3. Mix them together using a fork. 4. Microwave the mixture for 30 seconds until it looks like melted chocolate. 5. Allow it to cool to a temperature that's comfortable on your skin. 6. Apply to your face using a brush or your fingers. 7. Leave on your face for 10 minutes and then rinse off. 8. Apply the face mask every morning and evening. 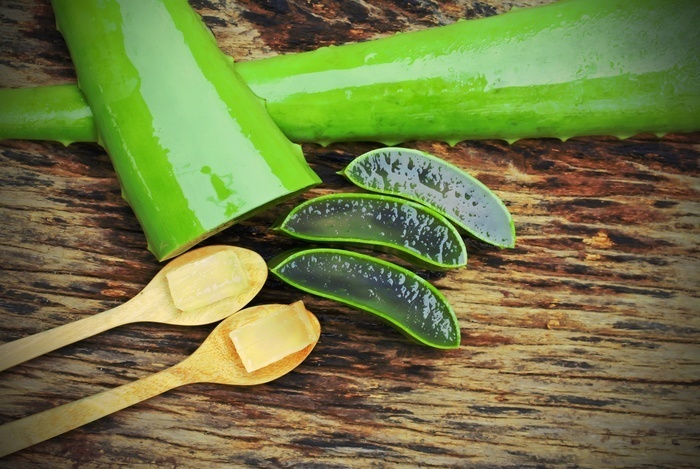 Aloe vera is a plant that is famous for its ability to soothe and heal skin. It can also be easily made into an Aloe vera facial mask to treat acne. The best aloe vera gel has a large number of vitamins, minerals, and enzymes that help with soothing the inflammation of the skin that acne causes. But, it’s more effective as an anti-acne treatment when used together with Basil essential oils. Basil, also know as Tulsi, is a medicinal herb with proven antimicrobial properties that successfully act against the acne-causing bacteria when used in topical applications. A study conducted in Thailand showed the effectiveness of Holy Basil and Sweet Basil essential oils in fighting acne, with Sweet Basil oil slightly the more effective (5). In another study, published in the International Journal of Aromatherapy, the enhanced effect of combining Aloe vera gel and Basil oil was demonstrated. It was shown to be more effective than topical Clindamycin, an antibiotic used to treat acne (6). So you can put away your prescription antibiotics and go all natural with this effective acne fighting lotion. 1. Get a bottle of 100% pure Sweet Basil essential oil, and a bottle of 100% Aloe Vera gel. 2. Mix 5 teaspoons of Aloe vera gel with 10 drops of Basil oil in a small bowl. 3. Apply the mixture after washing your face, every morning and evening. 4. Keep any excess in the fridge when not in use. Be careful when using essential oils as some people find that they can cause skin irritation and burns when insufficiently diluted. Obtained by steam distillation from the Australian plant Melaleuca alternifolia, tea tree oil is an essential oil that is used for a number of different skin conditions but is particularly effective as a spot treatment for acne. It has been used as a part of Australian folk medicine for many centuries, mostly for its antiseptic properties when treating wounds. It has soothing anti-inflammatory qualities (7) and leaves your skin’s natural oils intact. A study that was published in the Medical Journal of Australia comparing the effectiveness of a 5% tea tree oil gel and a 5% benzoyl peroxide solution on acne lesions, found that the tea tree oil was able to match the benzoyl peroxide for acne reducing effect while producing fewer side-effects (8). In addition to killing the acne causing bacteria, it’s able to unblock sebaceous glands and disinfect the pores, while helping to control oil production. Tea tree oil can be obtained in undiluted form and as part of skin care preparations for acne treatment in its diluted form. It is commonly available in gels, cleansers, and moisturizers. Some people find that he undiluted tea tree oil is too strong for their skin and can cause irritation and blistering. So if you obtain the undiluted tea tree oil it’s best to mix it with water or a carrier oil first so that you are using a concentration that is around 5% or less. If you’re skin tolerates it you can increase the concentration slowly up towards 15%. 1. Mix your tea tree oil with water or a carrier oil such as argan oil until you have the desired concentration. 5ml of 100% tea tree oil mixed with 95ml of water will give you a 5% solution. 2. Apply the tea tree oil mixture to a cotton wool bud. 3. Carefully wipe the tea tree oil onto your acne. 4. You can leave the tea tree oil on your face overnight, or you can wash it off after a few hours. 5. Apply every day and you should quickly notice the swelling decrease. 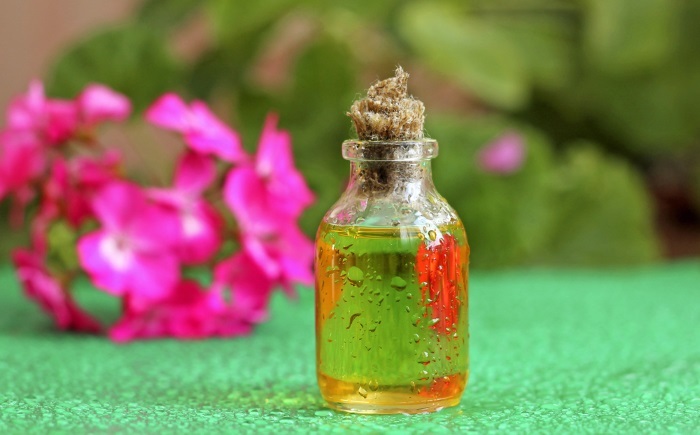 Be careful when using essential oils like tea tree oil as some people find that they can cause skin irritation and burns when insufficiently diluted. However, some people do recommend tea tree oil undiluted as a spot treatment. 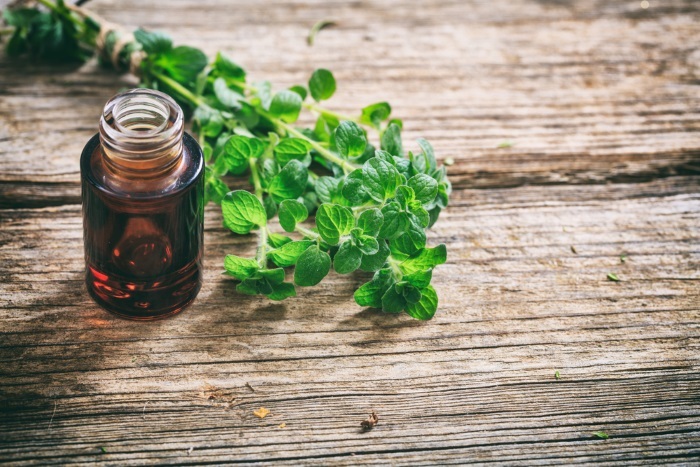 Among the many natural herbal remedies that are effective at reducing acne is a herb that many people cultivate in their garden for culinary purposes, mint. 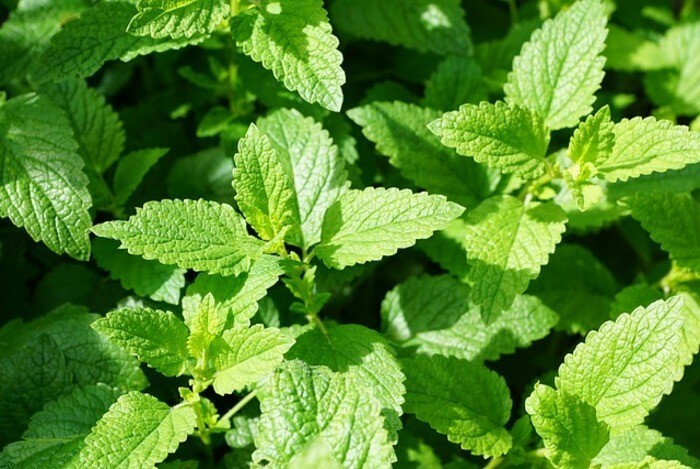 Mint is good for acne largely because of its menthol content that gives it its anti-bacterial properties (9), which along with its ability to cool and calm irritated skin and its refreshing scent and taste, has made it a very popular ingredient in a multitude of skin creams, toothpastes, soaps, and shampoos. It has anti-androgenic properties that can reduce the production of sebum in your skin (10). 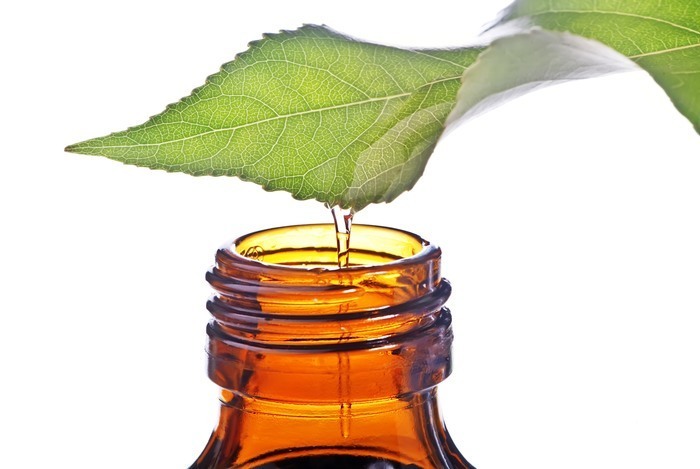 Both the leaves and the essential oil can be used for acne treatment. You can start experiencing the benefits to your skin of mint in this quick and simple to make face mask. 1. Either pick or purchase some fresh mint leaves. About 50 leaves or a ¼ of a cup should be sufficient. 2. Purchase a carton of plain natural yogurt. 3. Carefully wash the leaves and dry them. 4. Grind the leaves using a pestle and mortar until it starts to resemble a paste. 5. Transfer the paste to a bowl. 6. Add 1 or 2 tablespoons of the yogurt to the mint and stir well. 7. Apply the face mask to your face with your fingers. 8. Allow the mask to dry. 9. Then rinse it off with water and dry your face. 10. Store any leftover face mask in the fridge. 11. Use the face mask once or twice a week. Apple cider vinegar is a simple and natural treatment for acne that many people find to be effective and fast. It has a number of properties that are useful in fighting against acne. It’s antibacterial (11) and can help to kill the harmful acne bacteria that inhabit your clogged pores and which are responsible for your acne outbreaks. Because its main ingredient is acetic acid, it also has a keratolytic effect. It breaks the bonds that bind dead skin cells together and aids the exfoliation process, which helps to keep your pores open and unblocked. Its anti-inflammatory properties help to reduce the swelling, pain, and redness that are caused by an outbreak of acne. 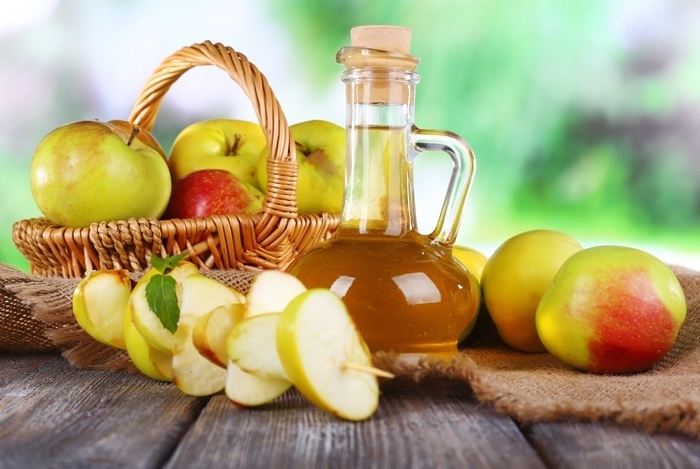 When using Apple cider vinegar, make sure you get the unprocessed and unfiltered kind. This can be recognized by the presence of a visible substance floating in it, known as the ‘mother’, and is usually murky and darker brown in appearance. 1. Purchase your organic, unprocessed apple cider vinegar. 2. Make sure your apple cider vinegar is well mixed by giving it a good shake. 3. Mix one tablespoon of vinegar with 3 tablespoons of water to create your toner. You can experiment with this, some people prefer 1 part vinegar to 1 part water, and it will depend on the sensitivity of your skin. 4. Apply using cotton wool after washing your face. Many people prefer to do this in the evening as vinegar has a strong smell. 5. The first time you use it, you may just want to leave it on for 5-10 minutes before washing it off, to see how your skin reacts. When you know that your skin is tolerant to it you can leave it on. Some people recommend using apple cider vinegar undiluted on the skin, but you should be careful about doing this as it's an acid and can cause irritation and burns. We all know garlic as a common herb that usually has a place in our kitchen for culinary purposes. But it also has a long history of use as a natural medicine that can treat a variety of ailments. One of these uses is as a homemade remedy for acne. 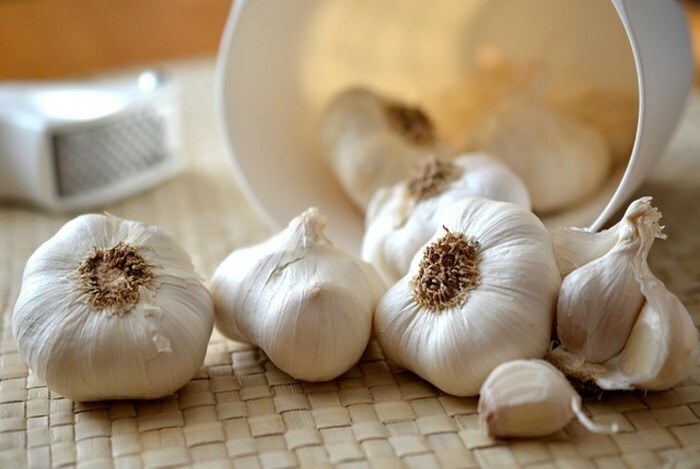 The acne treating ability of raw garlic comes from a compound called allicin, which in addition to giving it its distinctive smell and taste, also has anti-bacterial (12) and anti-inflammatory properties (13). When applied to the skin it can kill the harmful acne bacteria, and is effective at making the acne lesions quickly disappear. 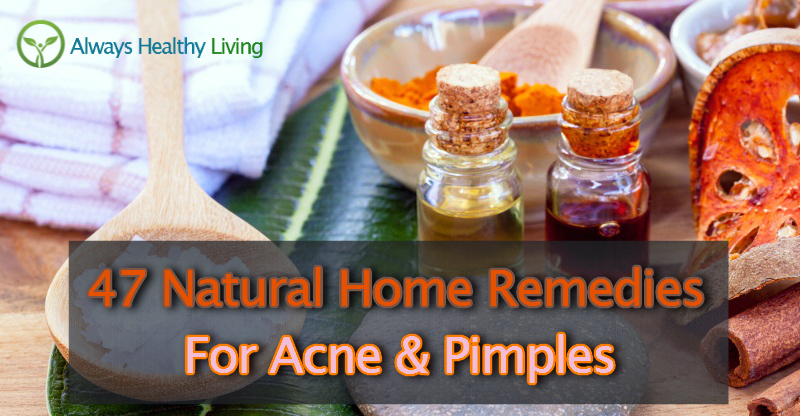 This is one of the most simple home remedies for acne and pimples for adults. It’s best used as a spot treatment to specifically target your acne, but it’s also useful to consume in your diet, as many people find that this also helps with eliminating their acne condition. 2. Peel the clove and throw away the skin. 3. Finely chop the clove and crush with the flat of a knife. 4. Scrape up the crushed garlic and crush again, repeating this until you have a paste. 5. Mix it with a teaspoon of water. 6. Wash and dry your face. 7. Apply the mixture to your acne and leave it on your face for around 10 minutes. 8. Wash your face again and pat it dry. Garlic can burn your face, that's why it's important to dilute the paste with water and only leave it on your face for a short time. Ginger is well known for the spicy taste it gives to culinary dishes, but it also has a long history of medicinal use to cure a variety of health problems in many parts of Asia. Recent scientific studies have also shown a use for ginger in the treatment of acne. In a 2014 study, 32 patients were prescribed ginger for 6 months with a significant reduction in acne lesions (14). The gingerols and shogaols it contains are known to give it antibacterial properties (15). 1. Get a 5 g piece of ginger root and a carton of fresh natural yogurt. 2. Peel the ginger root and grate it using a grater. 3. Add a small amount of water to make a paste. 4. Put 1 tablespoon of yogurt into a bowl and add the ginger paste. 6. Apply it to your face with your fingertips and leave for 15-20 minutes. 7. Wash it from your face again. 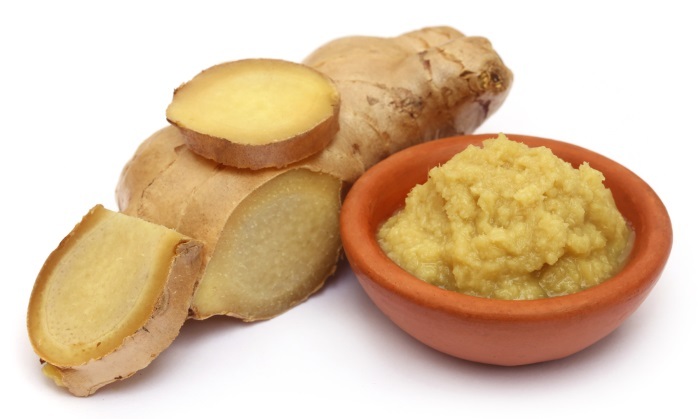 Insufficiently diluted ginger paste can cause burning if left on the skin for too long. Listen to your skin. Extracted from the seeds of the jojoba plant, jojoba oil has a high level of similarity to the sebum that’s produced in human sebaceous glands present in the skin. Jojoba oil is technically not an oil, it’s a wax ester, and it can be used to spot treat acne as well as moisturize and cleanse the skin. It’s effective in helping to treat inflamed and non-inflamed skin lesions for people who have mild acne, and can be used in conjunction with other natural acne treatments to help heal more severe acne. Jojoba oil’s similarity to sebum is one of its most important qualities. Overactive sebaceous glands can produce an excess of sebum that is responsible for clogging pores. This is an important step in the formation of acne. Jojoba oil is absorbed very quickly into the skin, and its similarity to sebum tricks your sebaceous glands into thinking that sufficient sebum has already been produced. This results in a decreased level of production. In addition, jojoba oil can help to soften the hardened sebum that is blocking the pores making it easier to clear, and its antimicrobial properties kill the bacteria that are responsible for acne breakouts (Propionibacterium acnes). Many people find that it’s effective at soothing the inflamed areas caused by acne, and it can remove the pain, itchiness, and swelling. 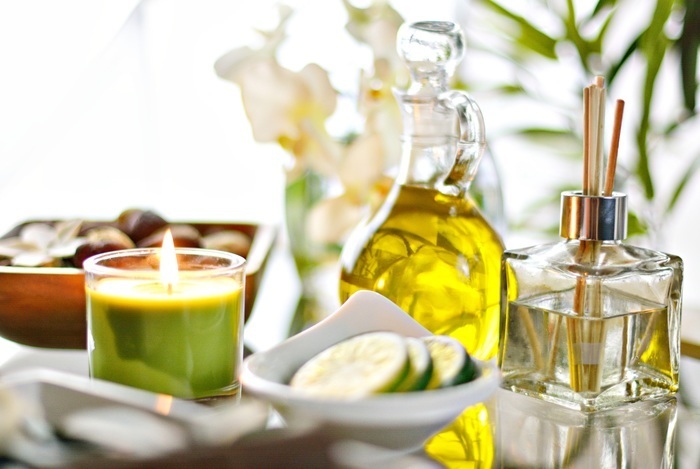 Studies have demonstrated the anti-inflammatory properties of jojoba oil (16). It’s gentle on sensitive skin, and makes a good carrier when used with other home remedies for acne such as essential oils. 1. First of all wash your face using a gentle cleanser. 2. Pat your face dry with a clean towel. 3. Apply some Jojoba oil to a cotton wool swab. 4. Gently dab the cotton swab onto the area of your skin affected by acne. 5. Apply it three times a day over a two or three week period to start seeing the results. Jojoba oil can also be used to together with tea tree oil to increase the effectiveness of the treatment. 1. Mix together five drops of tea tree oil and 1 teaspoon of the best jojoba oil brand. 2. Follow the instructions above from 1 to 5. 3. Any leftover tea tree oil and Jojoba oil mixture should be kept in a sealed container in the refrigerator to keep it fresh for further use. Jojoba oil has a 2 out of 5 rating on the comedogenicity scale, which means that it has a small chance of blocking skin pores for some people. 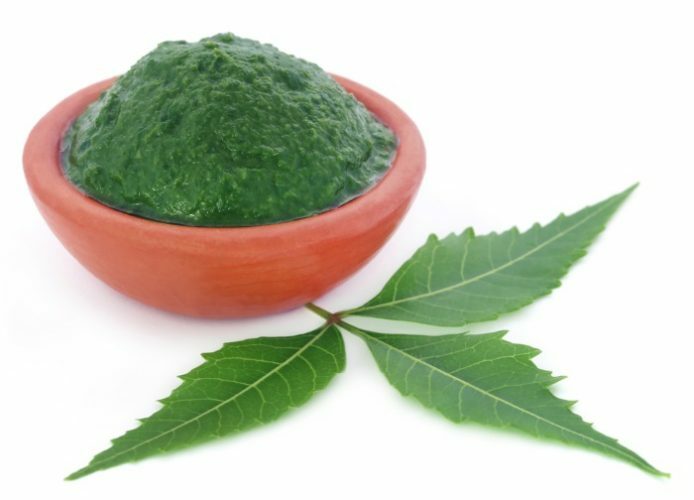 Neem has a lengthy history of use in India, where its medicinal properties are highly prized in Ayurvedic medicine. One of the ailments Neem is used to treat is acne. Neem contains polyphenolic flavonoids like quercetin that are known to be antioxidants and have antibacterial properties (17). This can help to prevent and reduce acne breakouts. 1. Purchase some fresh neem leaves. 2. Grind them using a pestle and mortar using a small amount of water to make a paste. 3. Apply the paste to your face and leave it for around 30 minutes. 4. Clean your face again with warm water. 5. Use this face mask every day to see improvement. Obtained from the steam distillation of juniper wood, needles, berries, and twigs, the essential oil of juniper has many health uses. It’s calming and healing effects can be used for pain relief and to relieve a range of skin problems. One of the skin problems it can be used to improve is acne. The antiseptic qualities that in days gone by saw it used for wound dressings provide a natural disinfectant for your skin. A 2005 study that was published in the Journal Pharmaceutical Development and Technology proved the effectiveness of juniper oils antibacterial activity when used to treat acne (18). 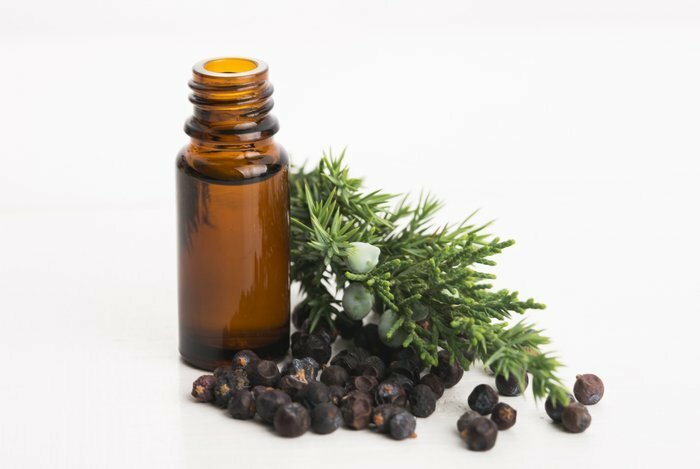 When mixed with a carrier oil, like jojoba oil, juniper oil can make an easy to apply home remedy. It’s also suitable for black skin. ​1. Purchase some juniper oil and some jojoba oil. 2. 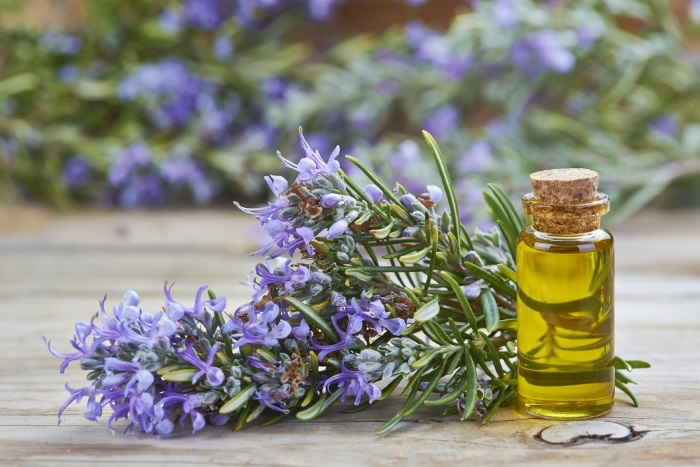 Mix 2 teaspoons of jojoba oil with 6 drops of juniper oil in a small pot. 3. Wash and dry your face. 4. Apply to the acne affected area of your skin using a brush or your fingers. Not to be used by pregnant women, as it can stimulate the uterus. People suffering from liver or kidney disease should also avoid using it. 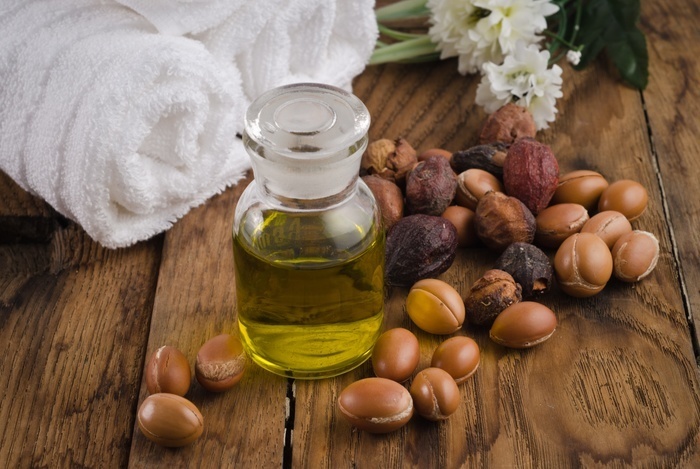 When you think of argan oil you probably think of its benefits in helping to make your hair soft and shiny. But there are also fantastic benefits when you use argan oil for your skin as well. No wonder some people call it ‘liquid gold’. It’s packed full of antioxidants and nutrients that protect and nourish the skin, and it can soothe acne affected areas, and encourage lesions to heal. The linoleic and oleic acid it contains promote a healthy turnover of skin cells and normalize levels of sebum production (19). It’s easy to use, and just a couple of drops of argan oil rubbed into your skin twice a day after cleansing is enough to start feeling its benefits. It has a 0 out of 5 rating on the comedogenicity scale, which means it won’t clog your skin pores. It’s good to use after other natural facial treatments to moisturize the skin. 2. Wash and dry your face. 3. Apply a couple of drops of argan oil to your acne affected skin. 4. Gently massage it into your skin with your fingers. Geranium is popularly used in aromatherapy, and has been used for thousands of years for its sweet smell that can help to relieve anxiety and stress, and its medicinal properties. It was used by the ancient Egyptians in the treatment of cancer, and also for its beauty benefits for the skin. The benefits of geranium oil for acne treatment lie in the potent antibacterial compounds that it contains. Monoterpenes such as citronellol and geraniol have been shown in scientific studies to be effective at killing P. acnes (20). It’s best used diluted with a carrier oil. 1. Get a bottle of geranium essential oil and a bottle of cold pressed avocado oil. 2. Measure 1 teaspoon of avocado oil into a small bowl. 3. Add 2 drops of geranium essential oil to the avocado oil and mix together. 4. Gently rub the oil into your skin using your fingertips. 5. Repeat this method daily. Avocado face masks are a well-known beauty favorite with those looking to get glowing skin without the use of expensive cosmetic products. They can also be used for acne treatment. Avocado contains phytosterols such as beta-sitosterol (21) that soothe inflammation and antioxidants that can help to protect the skin from UV-induced oxidative damage, a key step in the formation of acne. Avocado facial masks are easy to prepare and great to combine with other natural remedies to increase their acne fighting potency. 1. Get a fresh and ripe avocado and a jar of raw organic honey. 2. Slice the avocado in half and take out the seed. 3. Use a spoon to scoop the fruit out of the peel of one half of the avocado. 4. Put the avocado in a bowl and mash it into a paste. 5. Add 1 tablespoon of honey to the bowl and mix together. 6. Use your fingers to apply the face mask. 7. Leave it on for about 20 minutes and then wash off again. 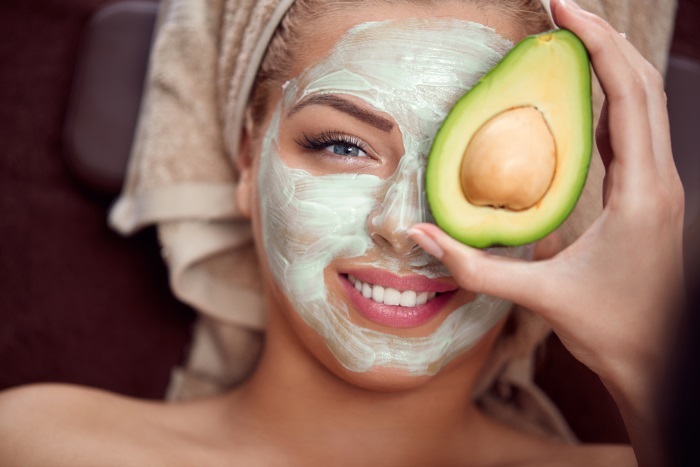 You’re probably aware of the usefulness of avocado face masks for skin care, but did you know that avocado oil also has benefits for acne prone skin? It also contains the phytosterols that can help to ease the inflammation of acne, as well as protective antioxidants. When applied to the skin it’s easily absorbed and can be left on all day as you go about your business. It also makes an excellent carrier for essential oils as it has a low risk of clogging skin pores. 1. Obtain a bottle of organic cold pressed avocado oil. 2. Use your fingers or a cotton ball to spread a small amount of oil over your skin. Avocado oil has a 2 out of 5 rating on the comedogenicity scale, which means that it has a small chance of blocking skin pores for some people. Rosemary has been used for thousands of years in herbal medicine to treat a wide variety of illness and disease. Both the Romans and the Greeks considered it sacred and used it for its healing powers, and people in the middle ages burned it inside their houses in the incorrect belief that it could prevent the black death and thwart evil spirits. The essential oil that’s obtained by steam distillation from its leaves has shown a number of useful properties for treating acne. Studies have demonstrated that it can suppress the inflammation caused by P. acnes (22) and can also kill this bacteria due to the monoterpenes it contains (23). It can be mixed with a carrier oil, or combined with Aloe vera as in the recipe that follows. 1. Get a bottle of rosemary essential oil and a jar of Aloe vera gel. 2. Place 1 tablespoon of Aloe vera into a small bowl. 3. Add 6 drops of the rosemary oil to the bowl and stir well. 4. Use your fingers to apply the rosemary oil and Aloe vera mixture over the surface of your skin. 5. Use it each day. It’s well known as the ‘pizza herb’ and is frequently added to Italian cuisine to give a herbal, bitter taste to sauces. But, oregano oil can also be used for acne. It contains the monoterpenes compounds thymol and carvacrol which have been shown in studies to have strong antibacterial activity, including against the acne bacteria (24). It also contains beta-carophylin which gives it anti-inflammatory properties. Dilute it with a carrier oil to safely use it on your skin. 1. Get a bottle of organic grapeseed oil and a bottle of oregano essential oil. 2. Put 1 teaspoon of grapeseed oil in a small container. 3. Add 2 drops of the oregano oil. 5. Apply it to your skin with your fingers. 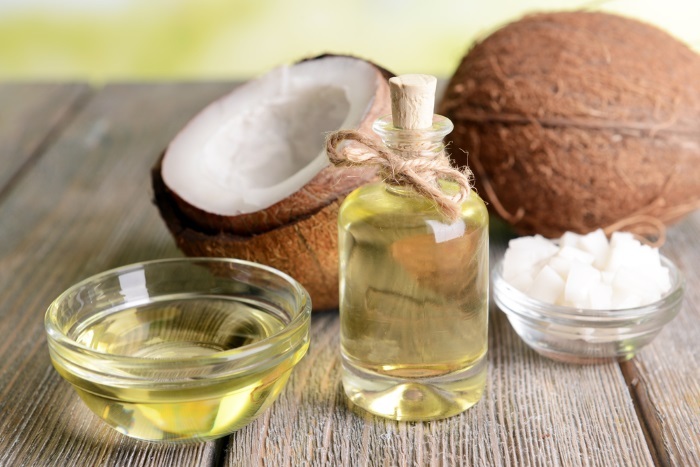 Many people use coconut oil as a healthy oil for cooking food, but it’s also found in many cosmetic products for its use as a carrier oil and its ability to moisturize the skin. Coconut oil also be used for acne treatment, with many people swearing by the part it’s played in clearing their skin. It contains the fatty acids lauric acid, capric acid, and caprylic acid, which are powerful natural antibacterials. Studies have demonstrated that lauric acid and capric acid can kill the acne bacteria (25). But, be aware that not everybody reacts well to coconut oil. It rates 4 out of 5 on the comedogenicity scale, which means there’s a risk that it can clog skin pores, and some people find that it makes their acne worse. 1. Get a jar of organic virgin coconut oil. 2. Using your fingers, take some coconut oil from the jar. In cooler locations coconut oil might be a solid at room temperature. If so, rub it between your fingers to melt it first. 3. Gently spread a small amount of oil over your skin. 5. Stop using it if you notice your acne getting worse. Coconut oil has a 4 out of 5 rating on the comedogenicity scale, which means that it has a moderate chance of blocking skin pores for some people. 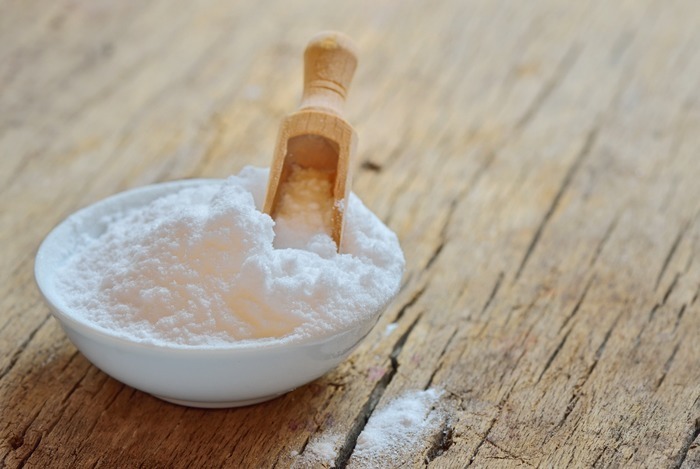 Baking soda, or sodium bicarbonate as it’s otherwise known, is an amazing multi-purpose compound that plays a part in cooking, cleaning, and in a range of health and beauty products. Its usefulness in reducing acne lesions lies in its ability to kill bacteria (26) and correct the pH imbalance of the skin that plays a part in the formation of acne. It soaks up excess oil from the skin and acts as a mild exfoliant. It might be a bit too harsh for dry and sensitive skin, but this is one of the home remedies for pimples that many people recommend. Some people use toothpaste to get rid of pimples, a home treatment that contains baking soda. 1. Purchase some baking soda. 2. Place 2 tablespoons of the baking soda into a bowl. 3. Add 2 tablespoons of water. 4. Mix together to make a paste. 5. Wash and dry your face. 6. Apply the paste to your face using your fingers. 7. Gently rub it into your face for 2-3 minutes. 8. Leave it to dry for around 15 minutes. 9. Then wash and dry your face again. 10. Apply moisturizer after, as it's quite drying on the skin. 11. Use once or twice per week. 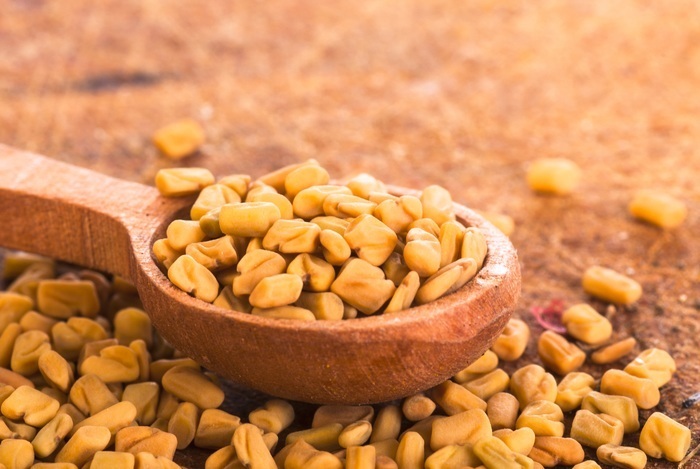 Most people know the use of fenugreek from its use in delicious curries, but the ground up seeds have a part to play in a range of traditional folk remedies including skin care. When mixed with water to form a solution that can be applied to the skin, fenugreek has antibacterial and anti-inflammatory qualities (27) that can help a range of skin disorders including acne, eczema, and abscesses. ​1. Buy some fenugreek seeds. 2. Crush the seeds into a powder using a pestle and mortar. 3. Add warm water and mix with a fork or spoon. 4. Wash and dry your face. 5. Take a clean washcloth and soak it in the mixture. 6. Apply the fenugreek solution to your face using the washcloth. 7. Leave it on your face for around 15 minutes. 8. Wash and dry your face again. Delicious to eat, and used for a range of culinary purposes, sweet almonds produce an oil that can also be found in a range of skin care products. Its effectiveness as a treatment to reduce acne and improve your skin has gained increasing attention in recent times. Sweet almond oil is easily absorbed by the skin where the fatty acids that it contains dissolve the excess sebum that block pores and contributes to the formation of acne. It’s a natural emollient, that softens the skin and soothes acne lesions. Its ability to exfoliate the skin helps to remove dead skin cells from your face. It has anti-inflammatory properties, and can improve skin tone and complexion (28). You can use the best almond oil on its own, or as a carrier oil for other home remedies for acne. 1. Buy some sweet almond oil. 3. Use your fingers to apply the almond oil to your face. 4. Massage the oil into your face for 1-2 minutes. 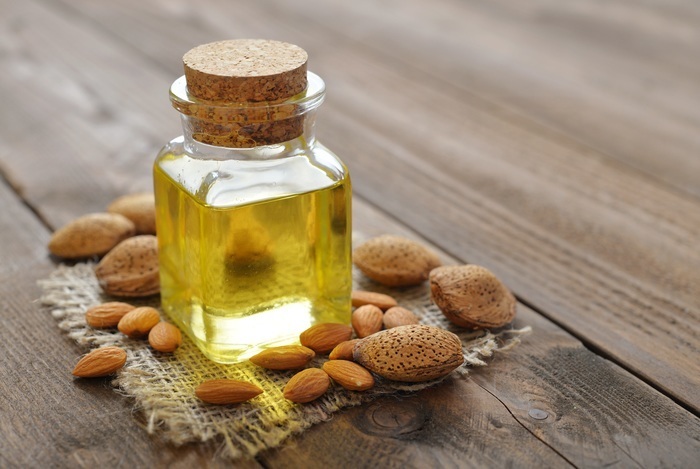 Almond oil has a 2 out of 5 rating on the comedogenicity scale, which means that it has a small chance of blocking skin pores for some people. Make sure you use sweet almond oil and not bitter almond oil, which is toxic. If you have a nut allergy then you should avoid using sweet almond oil. 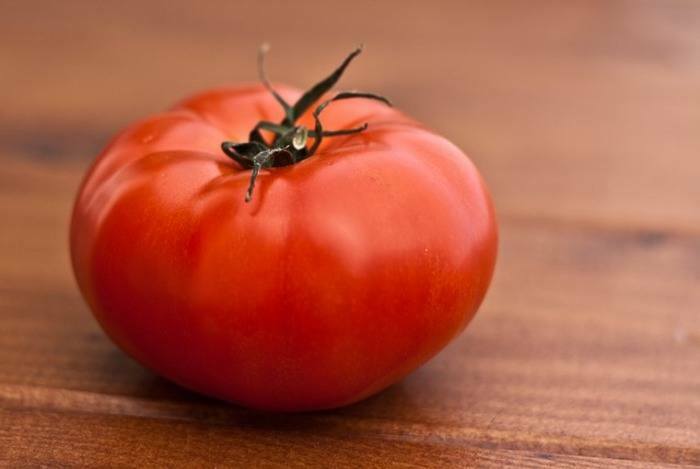 Although you can find tomatoes in almost every kitchen, few people seem to be aware of the cosmetic power they have when it comes to giving you clear skin. Tomatoes can help you with large pores, they can calm and soothe sunburnt skin, clear up rashes and acne, and give your skin a real glow. Like a number of other fruits, tomatoes contain alpha hydroxy acids, which are sometimes used in skin care products for their ability to exfoliate dead skin (29). They’re a rich source of vitamins A, C, and K, which are also commonly found in over the counter acne treatment products. 1. Purchase some large fresh tomatoes. 2. Cut an X into the top of a tomato with a knife. 3. Place the tomato under the warm water tap for about a minute. 4. Peel the skin of the tomato. 5. Slice the tomato in half and take out all the seeds from each half. 6. Put the flesh into a bowl. 7. Mash the flesh into a paste using a fork or potato masher. 8. Wash and dry your face. 9. Apply the paste to your face using your fingers. 10. Leave the paste to dry on your face for about 1 hour. 11. Rinse and dry your face. 12. Repeat 3-4 times per week. A favorite ingredient in Asian cuisine, where it’s often found in curries and soups, lemongrass also produces an essential oil that’s used by some people as a natural medicine. The use of lemongrass oil for acne treatment is because of the antibacterial, anti-inflammatory, and antioxidant properties it possesses. 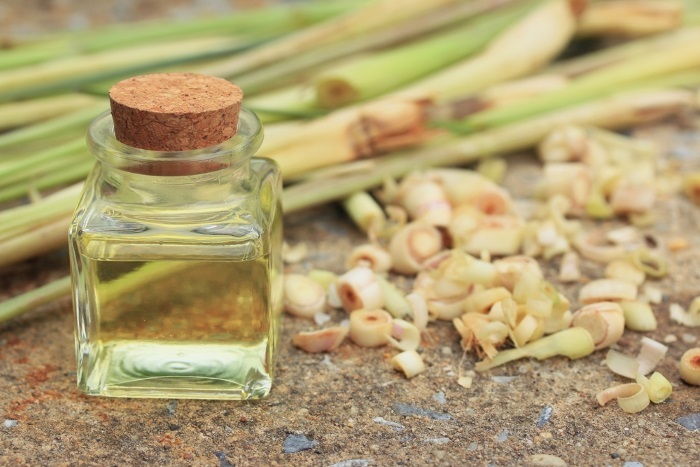 Studies have been conducted that have demonstrated the ability of lemongrass oil to kill the acne causing bacteria (30). It can be easily diluted with a carrier for use on the skin, or combined with other home remedies for acne. 1. Get a bottle of lemongrass essential oil and a bottle of organic grapeseed oil. 2. Place 1 teaspoon of the grapeseed oil into a bowl. 3. Mix 2 drops of lemongrass oil into the grapeseed oil. 4. Apply to your face using a cotton ball or your fingers. Besides being famous as the food that koala bears like to eat, eucalyptus has also been used for centuries as part of Aboriginal folk medicine in its native Australia. An essential oil can be extracted from it that has high levels of cineole (eucalyptol). 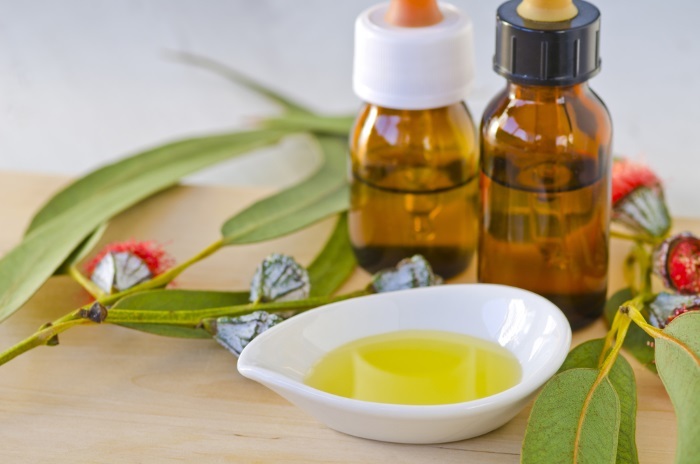 This is what gives healing properties when eucalyptus oil is used to treat acne. One study demonstrated that a 2% eucalyptus oil cream showed comparable effects to 5% benzoyl peroxide anti-acne gel (31). 1. Get a bottle of argan oil and a bottle of eucalyptus essential oil. 2. Mix together 1 teaspoon of argan oil and 2 drops of eucalyptus oil in a small bowl. 3. Use a cotton ball or your fingers to apply it over the acne affected area. 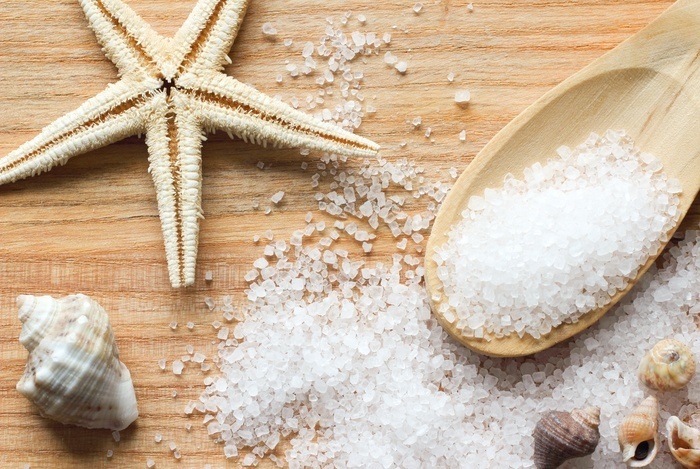 You might be more accustomed to using it to flavor your food, but sea salt can also be used as an acne therapy, and as a natural beauty product. While the ways in which it helps your acne are not completely understood, the high salt content may play a part in killing the harmful bacteria, while its high vitamin and mineral content nourishes the skin. It also acts as a natural exfoliant that can clear away dead skin and help to open blocked pores. 1. Buy some sea salt. 2. Mix an equal quantity of warm water and sea salt in a bowl. 3. Wash and dry your face with a clean towel. 4. Use your fingers to apply the sea salt paste to your skin. 5. Massage the paste into your skin for 2-3 minutes. 6. Leave the paste on your skin for around 10 minutes. 7. Wash and dry your face again. 8. Sea salt is very drying for your face, so it's a good idea to apply a non-comedogenic moisturizer (that will not clog your pores) after using this treatment method. 9. Repeat the process once a day. A staple of kitchens everywhere, who would have thought that the humble potato could be an acne fighting machine all on its own? 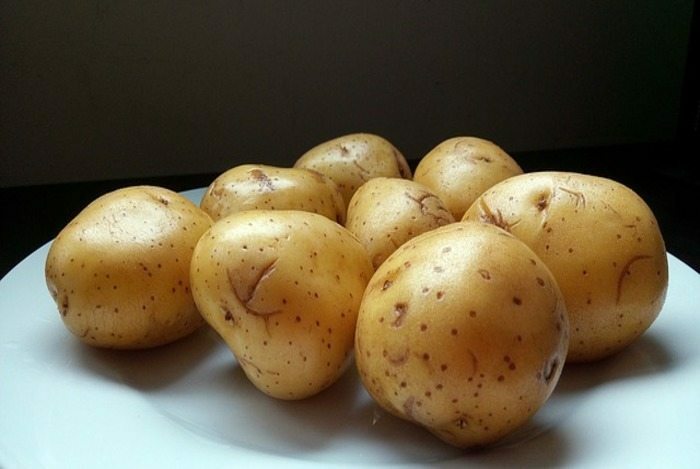 It’s the juice in the potato that can help you to get rid of your acne. The potassium, chlorine, and sulfur in the potato juice dries up the acne on your skin and kills bacteria. That leaves many people swearing by this easy and effective method for acne control (32). 3. Cut the potato into slices. 4. Gently rub the slices of potato on the acne-affected areas of your face for 1-2 minutes, using a new slice for each area. 5. Leave the juice on your face for around 15 minutes and then wash and dry your face. It’s one of the oldest and most common home remedies for acne, and I’m sure you’ve all heard of it before, but steaming your face is a great way to start treating your acne prone skin. Its real benefit lies in combining it with other facial treatments. Steaming your face won’t actually get rid of all the sebum and dead cells that are clogging your pores, but by opening them and helping to loosen the oil and debris it paves the way for stronger treatments to have a greater effect. Everyone has different skin, and some people find that steam can irritate their acne, so it’s best to start by using this method just a couple of times a week. 3. Get a large glass or ceramic bowl and place it on a mat or towel. 4. Pour the water into the bowl. 5. Place your head over the bowl and cover your head and bowl with a towel to allow the steam to collect around your face. 6. Steam your face for 5-10 minutes. 7. Pat your face dry with a clean towel. 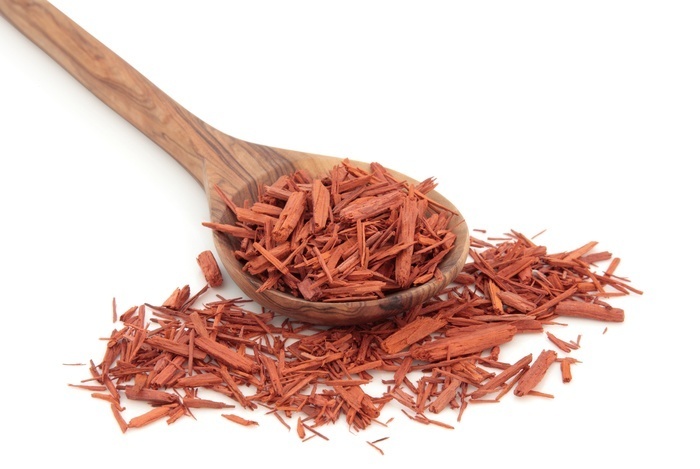 Taken from the sandalwood tree, sandalwood oil has great use in the treatment of a variety of skin problems. One of the great things about it is that it can be used on all skin types to get perfect glowing skin. Its antiseptic and germicidal properties (33) help to kill harmful bacteria on the skin and reduce the presence of acne lesions, blackheads, and blemishes. Mix it with rose water to create an acne busting paste that you can use regularly without drying out your skin. 1. Purchase some sandalwood powder and rose water. 2. Add 2 tablespoons of the sandalwood powder to a bowl. 3. Then mix with 4 tablespoons of rose water. 4. Mix using a spoon or fork until a paste is formed. 5. Make sure the paste can be spread easily on your face. You can vary the ratio of sandalwood to rose water until you find a consistency that you are happy with. 6. Clean and dry your face. 7. Add the paste to your face using a brush or your fingers. 8. Leave the paste on your face for about 20-25 minutes until it has dried. 9. Wash the paste off your face and pat dry with a towel. 10. Repeat this treatment 2 or 3 times per week. Lavender oil is the most commonly used essential oil in the world today and has a number of properties that indicate a use in acne treatment. There are many anecdotal reports by people who claim success in using lavender oil to clear acne breakouts, which is probably as a result of its ability to reduce stress when inhaled and kill bacteria with an effect comparable to tea tree oil (34). Like other essential oils, it’s best to dilute it with a carrier before applying it to your skin. 1. 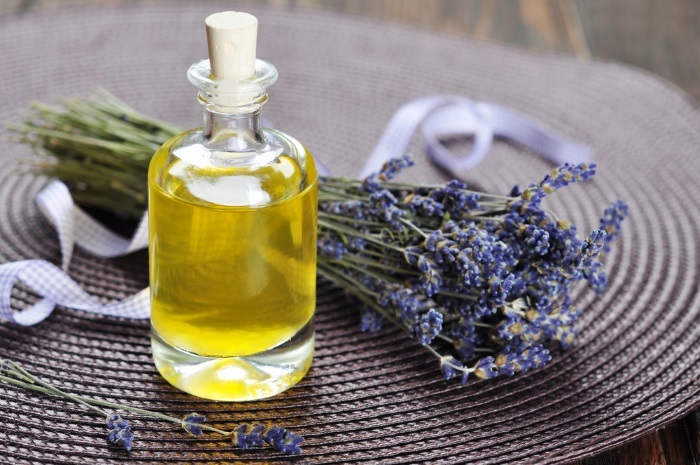 Get a bottle of lavender essential oil and a bottle of argan oil. 2. Measure 1 teaspoon of argan oil into a bowl. 3. Add 2 drops of lavender oil and mix together. 4. Use your fingertips or a cotton ball to spread on the acne affected ares. 5. Use each morning after you cleanse. You often don’t have to look very far to find a treatment for acne. 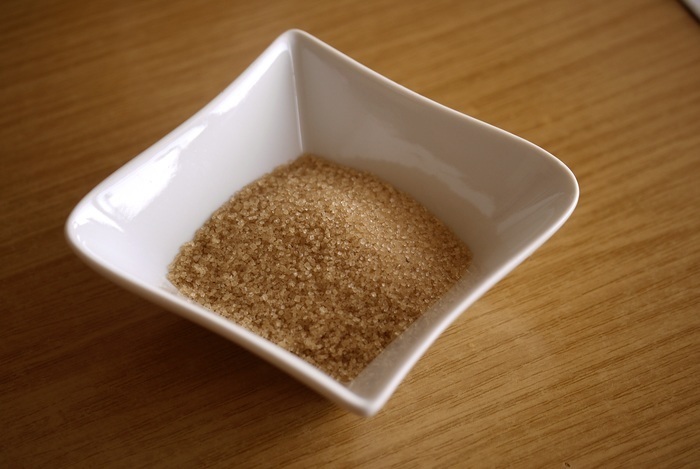 One common kitchen ingredient that you could get started with today is brown sugar. Brown Sugar can be used to make a simple, but effective, skin exfoliating mixture. When mixed with a suitable oil like argan oil (or olive oil) and rubbed into the face it can slough away dead skin cells and clean your blocked pores of excess sebum. You can add some lemon to it if you want to give it an extra acne fighting kick. 1. Purchase some brown sugar, argan oil, and a lemon. 2. Squeeze the juice of ½ a lemon into a bowl. 3. Add ½ a cup of brown sugar to the bowl. 4. Add 1 tablespoon of argan oil. 5. Whisk the ingredients together with a whisk or fork, until they create a thick mixture that can be used for a scrub. Add more sugar or oil until you have a good consistency. 7. Apply the mixture to your skin with your fingers. 8. Gently scrub the mixture into your skin for around 2-3 minutes. 9. Wash your face again with warm water and dry with a clean towel. 10. Keep any extra face scrub in a sealed container in the fridge. 11. Repeat twice a week. 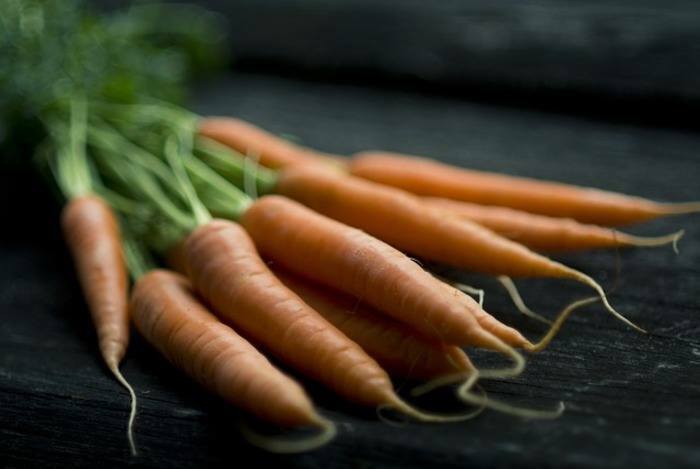 They might have a reputation for being good for your eyes, but did you know that carrots are also good for your skin? Carrots are one of the very best natural sources of vitamin A that you can find, which is well known for being important for healthy skin, and for its effectiveness in helping to treat acne. It’s related to retinoids like isotretinoin that are prescribed by doctors for acne treatment. Carrots also contain vitamin C and calcium, which are both good for the skin, and can easily be added to your diet. They can be eaten cooked or raw. Another easy way to consume carrots is to juice them with other foods. 1. Buy a bag of organic carrots. 2. Wash and scrub the carrots to remove any dirt. 3. Chop the carrots into thin sticks that can be easily eaten. 4. If you have a juicer, you can juice the carrots along with other fruit and vegetables that you want to consume. 5. Try to eat them with one meal a day. A folk remedy passed down by word of mouth through the ages, egg whites have a long history of being used in the treatment of acne. When they dry on the face, they help to cleanse the skin by pulling dead skin and dirt away from clogged pores, while soaking up the excess sebum that contributes to the formation of acne and pimples. This is one of the easiest home remedies for acne you can get started with today, as you probably have everything you need already in your fridge. You can also add 2 or 3 drops of an essential oil to create a face mask with stronger acne-fighting capabilities. 2. Wash your face and dry with a clean towel. 3. Crack open an egg and separate the white from the yolk. 4. 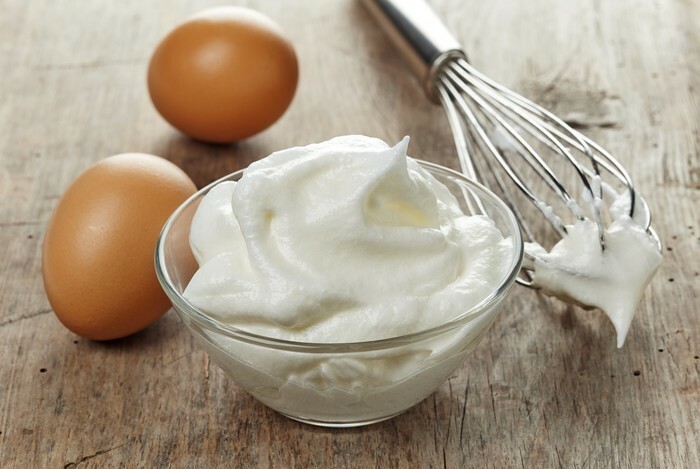 Place the egg white in a bowl and whisk it with a whisk or fork. 5. Apply to your face using a piece of cotton wool or a brush. 6. Add a layer of tissue on top of the egg white, leaving space for your nose and mouth. 7. Add more egg white to the top of the tissue. 8. Leave it to dry for at least 30 minutes. 9. Slowly remove the tissue from your face. 10. Rinse the remaining egg white from your face, and dry with your towel. You probably already have them in the house, and enjoy eating them as a healthy snack, but next time you eat an orange save the peel and make an acne fighting orange peel paste. The limonene that is found in orange peel gives it antibacterial,and anti-inflammatory qualities (35). This makes a paste that’s good for your skin and can also be used in combination with other home remedies for pimples and acne. 1. Purchase and peel 2 oranges. 2. Place the peel on a tray and leave it to dry in the sun. This can take between 1 and 5 days depending on how much sun you get. 3. Take the dried peel and grind it into a powder with a pestle and mortar. 4. Mix the powder with spring or filtered water to create a paste. 6. Apply the paste to your skin with your fingers. 7. Leave the paste on your face for 15-20 minutes. 8. Wash the paste off your skin with water. 9. Apply the paste each day for at least 2 weeks to start seeing the beneficial results. The next time you take a banana from the fruit bowl to eat, remember not to throw away the peel! Banana peel is stacked full of vitamins and nutrients, which may have an antioxidant effect and help to calm the swelling and inflammation associated with acne. 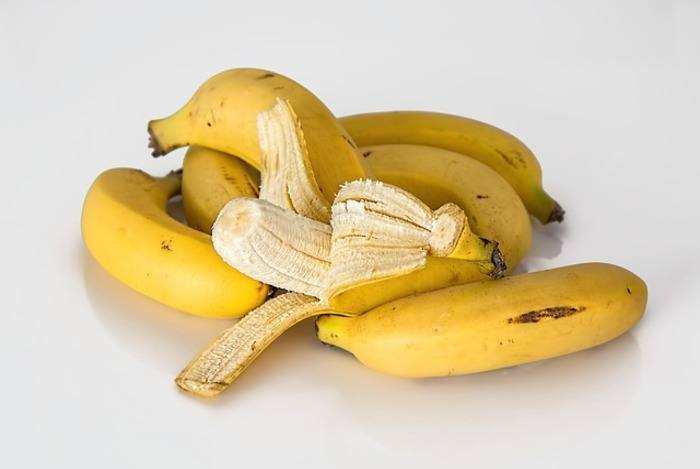 While the full mechanism by which banana peel reduces acne has not been studied, the evidence of the many people who have tried it shows that it can certainly be effective for some people while being gentle on the skin (36). 1. Buy some ripe bananas. These are reported as working better than unripe ones. 4. Separate the peel into pieces. 5. Gently rub the inside of the banana peel on your face. 6. 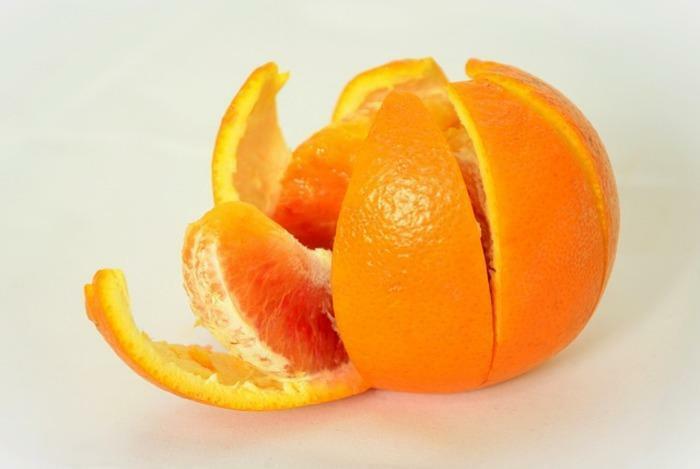 Do this for 5-10 minutes, using all pieces of the peel. As pieces of the peel turn black inside, replace with another piece. 7. Leave the banana residue to dry on your face. 8. Leave it on your face for around 2-3 hours before washing you wash it off. If you can, leave it on your face overnight while you sleep. 9. When you are finished you can eat the banana. 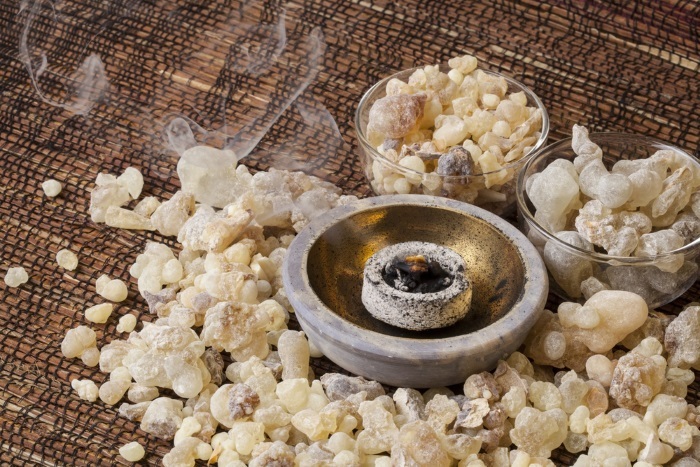 Frankincense conjures up images of a sweet smelling aroma, three wise men, and the birth of Jesus, but it also has medicinal uses that stretch back over 5000 years. It’s a resin that’s taken from Boswellia trees, but an essential oil can also be obtained from it by steam distillation. Frankincense essential oil contains boswellic acids that give it antibacterial and anti-inflammatory properties (37) that make it potentially useful for acne treatment. Dilute it first with a carrier before applying it to your skin. 1. Get a bottle of jojoba oil and a bottle of frankincense essential oil. 2. Add 1 teaspoon of jojoba oil to a bowl. 3. Add 2 drops of frankincense oil to the bowl. 5. Apply it to your skin using your fingers or a cotton ball. 6. Use it each day. While the idea of putting something that resembles mud on your face may at first seem counter-intuitive in your battle to cleanse your skin and heal your acne, green clay is a substance that has a long history of use in alternative medicine. Thousands of years ago it was being used by the Egyptians, Greeks and Romans to successfully treat skin conditions. 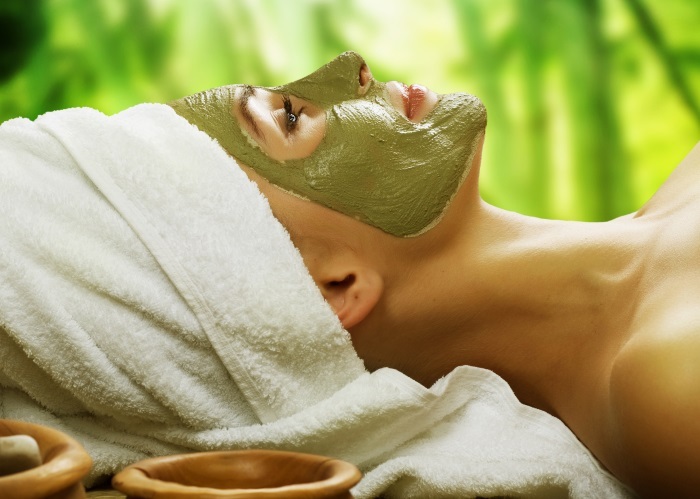 Green clay face masks are effective at drawing impurities out of the skin by absorption. They absorb bacteria and sebum from pores of the skin and help to exfoliate blackheads and dead skin cells without the need for any friction. As the clay dries on the skin, it also helps to tighten the pores. 1. Purchase green clay face mask powder. 2. Follow the directions on the packet to mix with a small amount of filtered or spring water. 4. Fill a large bowl with boiling water. 5. Position your head over the bowl of water, using a towel over your head to allow the steam to collect around your face and open your pores. 6. Dry your face with a clean towel. 7. Apply the green clay mask to your face with your fingers or a spatula. 8. Follow the directions that come with the green clay powder and leave it on your face for the recommended time as it dries, usually around 15-20 minutes. 9. Rinse off before the clay becomes flaky. Ideally, it should still feel slightly sticky. A fruity solution to the problem of acne can be found with the use of papaya in paste form. It also comes with the benefit that you can eat any you have left over as a healthy snack. Two of the main enzymes in papaya, chymopapain, and papain are proteolytic enzymes that dissolve proteins and unclog pores by breaking up dead skin cells and exfoliating the skin’s surface. The vitamin A that’s present in Papaya also helps to reduce the inflammation associated with acne lesions. 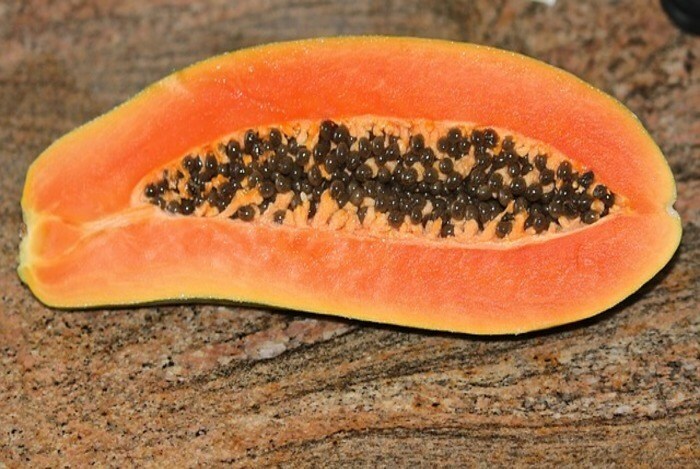 Because of the action of these enzymes and vitamins, papaya can be found in a lot of commercial beauty products today. 1. Purchase a fresh papaya fruit. 3. You can use a blender to puree the flesh of the papaya, or you can use a potato masher or fork to mash the fruit until it's a paste. 4. Apply it to your skin with your fingers. 5. Leave on your face for approximately 20 minutes. 6. Wash the papaya from your face and dry your skin. Lemon juice is a cheap and easy to use natural home remedy for treating acne spots. The L-ascorbic acid that it contains is a natural astringent which will dry out the acne with regular use. It also exfoliates the skin, dissolves sebum build-ups, and unblocks pores. It’s a powerful antibacterial and will cleanse your skin of harmful acne causing bacteria (38). Before using lemon juice on your acne, you should try applying a few drops to the skin on your wrist to check for sensitivity. Leave it on for about 15 minutes. If you don’t experience any redness and itching, then you can go ahead with using it on your face. 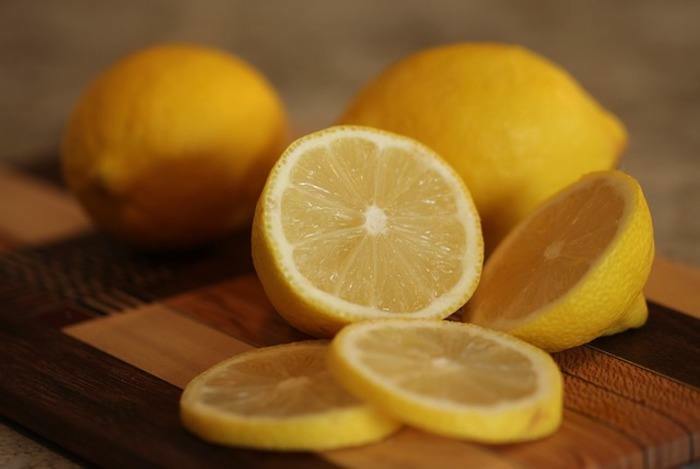 The lemon juice will also help to fade any existing acne scars, blemishes, and dark spots that you have on your face. Some people find that it can improve their acne marks overnight, but it will probably be too harsh for sensitive or dry skin. Lime juice can be used for acne in the same way. You can also use steam-distilled lemon essential oil for acne as an alternative that doesn’t contain furanocoumarins. 1. Take a lemon and squeeze the juice into a glass or bowl. 2. Cleanse your face, and dry with a clean towel. 3. Use a small ball of cotton wool to apply the lemon juice to the acne affected areas. 4. Leave it on your skin for about 15 minutes. 5. Wash the lemon juice off your face. Because lemon juice is very acidic it can easily burn the skin if left on for too long. Many people will find it too strong a treatment to use regularly so use it no more than twice a week, or as an occasional emergency pimple treatment. Lemon juice should only be considered for use at night, as it contains natural chemicals called furanocoumarins that interact with sunlight and can cause inflammation and burns. For this reason, it's also important to wear a sunscreen during daylight hours in the days after using it. One of the most effective supplements that you can take if you are suffering from acne is zinc. People who are prone to acne often have low levels of zinc in their body (39), and tests show that taking a zinc supplement can help to eliminate acne (40). Zinc kills bacteria on the skin, reduces the inflammatory response, makes it easier to exfoliate dead skin cells and unblock pores, and is a powerful antioxidant. Zinc methionine and picolinate have the best bioavailability of the available forms of zinc, but if you cannot get hold of that then zinc gluconate will suffice. It’s a good idea to try adding zinc to your skin care regimen if you haven’t tried it before, as you can take it at the same time as trying a topical treatment. It might just make a significant difference for you as it has for many other people. 1. Purchase a zinc supplement. 2. Check the package to see how much elemental zinc is in a capsule. 3. Take a daily dose of around 30 mg of elemental zinc. 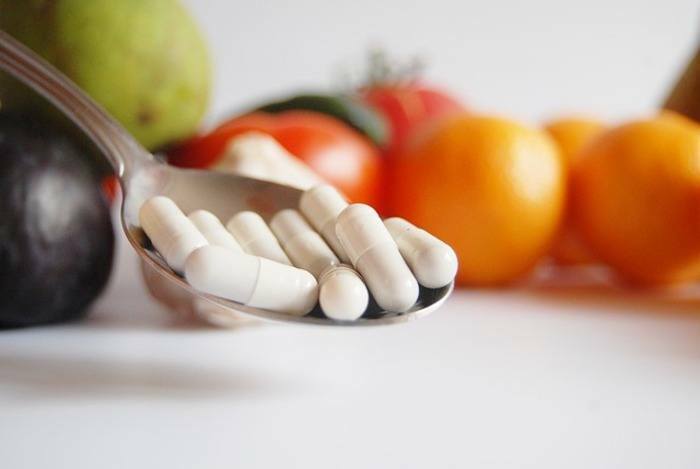 Taking too much zinc can make you feel sick, so find a dose that you can tolerate easily. 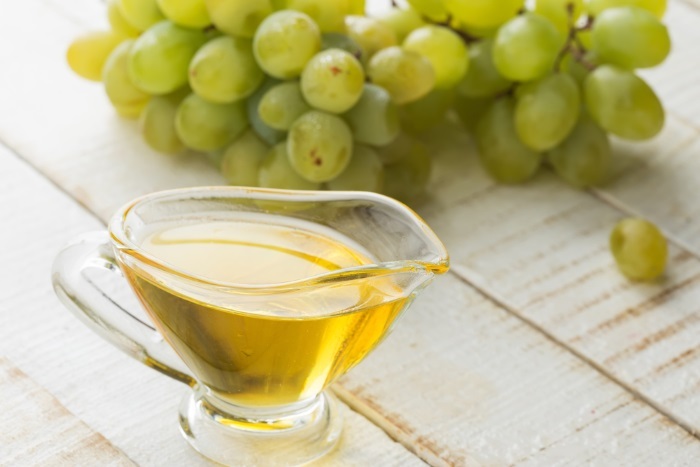 The production of grapeseed oil is a useful byproduct of wine making, and it can be found in many commercial cosmetic products. It’s a light and easily absorbed oil with a low comedogenicity rating, which makes it a popular carrier oil. It also has benefits for the skin, and its high linoleic acid content can help with the treatment of acne. It’s been demonstrated in scientific studies that linoleic acid can significantly reduce acne breakouts (41). You can use grapeseed oil on its own, but consider using it as a carrier oil for an essential oil like tea tree oil for the greatest benefits. 1. Get a bottle of the best grape seed oil brand for face care. 2. Wash and dry your skin. 3. Use your fingertips to massage the oil into your skin. 5. You can combine it with an essential oil by adding 3-5 drops to a teaspoon of grapeseed oil. Grapeseed oil has a 2 out of 5 rating on the comedogenicity scale, which means that it has a small chance of blocking skin pores for some people. A common staple of alternative medicine for treating inflammation and wound healing (42), calendula (pot marigold) naturally can be used as a remedy for acne. The antiseptic qualities that make it useful for the treatment of injuries can also kill the bacteria that infect the pores of people suffering from acne, while its salicylic acid content helps to exfoliate away dead skin. It also contains flavanoids and saponins that help to ease inflammation. You can buy lotions, creams, cleansers, toners and ointments containing calendula that can be applied to your acne affected areas. Or you can make your own face wash from the flowers of the plant. 1. Buy a bag of calendula flowers. 3. 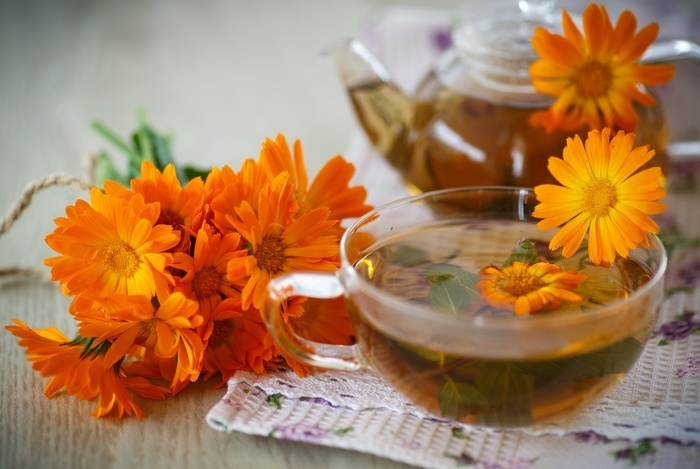 Take 2 teaspoons of calendula flowers and place them in a small bowl or cup. 4. Pour about half a cup of boiling water over the flowers. 5. Allow them to steep for at least 15 minutes, until the water has cooled down and is just warm. 6. Use a sieve with a coffee filter placed in it to strain the solution and collect the fluid in a bowl. 7. Take a clean washcloth and soak it in the calendula solution. 8. Use the cloth to gently clean your face for around 1-2 minutes. Clove essential oil is taken from the unopened buds of the tree Syzgium Aromaticum. A native plant of Indonesia and Madagascar, records exist of its use in China for over 2000 years for its medicinal properties. 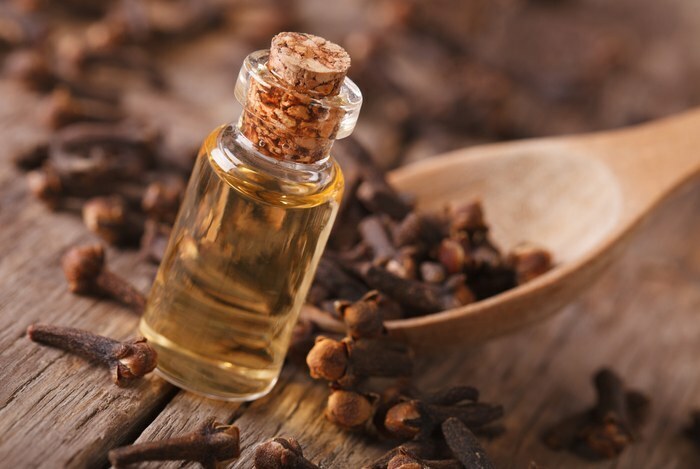 Studies have been done that have proven the antimicrobial activity of clove oil (43) and its anti-inflammatory qualities (44). It’s also a powerful pain reliever, and will soothe your acne and destroy the bacteria that are causing the infection. Clove oil is too strong to use directly on your face in its concentrated form, so a diluted form has to be prepared before use. 1. Purchase some whole cloves and some argan oil. 2. Measure out 2 tablespoons of cloves. 3. Using a pestle and mortar, grind the cloves until you have a powder. 4. Place the powder in a coffee filter or cheesecloth. 5. Tie the top with a length of strength. 6. Measure out 200 ml of argan oil into a jar. 7. Place the cloth or filter containing the clove powder into the oil. 8. Close the jar, and place on the lowest possible heat for 1 hour. Alternatively, you can leave it in the sun for a day. 9. Take the cloth out of the jar, and throw it away. 10. You are left with a clove-infused oil that's less potent than the original essential oil. 11. Wash and dry your face. 12. Apply the oil to the acne-affected areas of your face. 13. Let it dry for 20-25 minutes. 14. Wash and dry your face again. 15. Repeat twice a day. 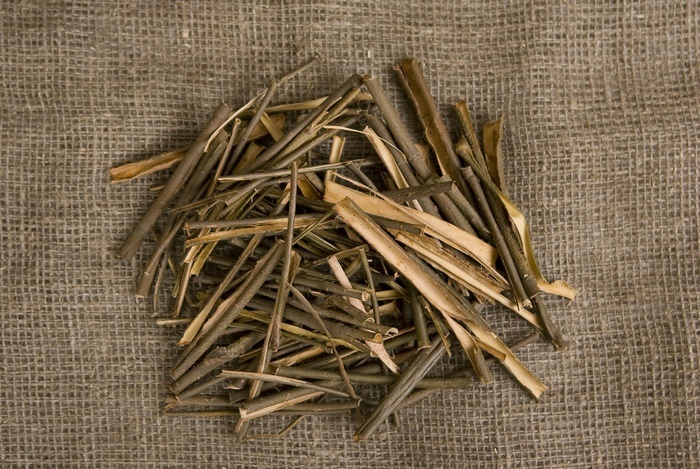 Willow bark has a long history of being used for commercial skin care preparations. It’s the natural source of salicylic acid, the exfoliating agent found in many over the counter acne products. The active compound in white willow bark is called salicin, and it’s this that is converted into salicylic acid, both in your body and in laboratories. It eases inflammation and acts as a natural exfoliant for your skin (45). This makes it good for soothing your acne and clearing clogged pores. Witch hazel is a powerful astringent, used for many years as a natural remedy to combat sores, swelling, and infections in North America and the parts of Asia it’s indigenous to (46). It naturally reduces acne and can help to kill bacteria on the surface of the skin. The extract taken from the bark, leaves, and twigs of the plant is also used in many beauty and medicinal products that you can buy. 1. Purchase some powdered white willow bark and witch hazel extract. 2. Measure out 1 tablespoon of white willow bark and place it into a pan. 3. Bring the 5 tablespoons of water to the boil and add to the willow bark. 4. Let it sit for 10 minutes. 5. Line a fine sieve with a coffee filter, and pour the willow bark through it, collecting the fluid in a jar. 6. Add 3 ½ tablespoons of witch hazel extract. 9. Use a cotton ball to apply the toner to your face. 10. Use it in the morning and evening. Not to be used by pregnant women or nursing mothers. The culinary uses of thyme are well known, and most well-stocked kitchens contain this tasty herb. But, thyme can also be used for acne treatment. 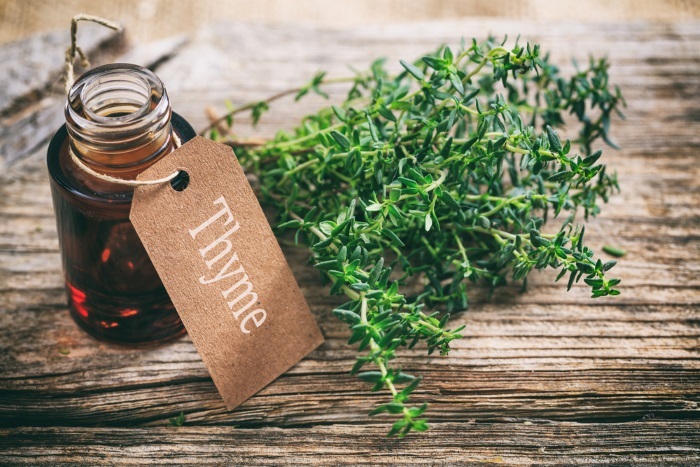 Thyme extract contains the compounds carvacrol and thymol which have antioxidant and antibacterial properties that can protect the skin and kill the acne bacteria (47). If you want to try thyme essential oil, dilute it with a suitable carrier oil for acne prone skin. 1. Get a bottle of thyme essential oil and a bottle of cold pressed organic avocado oil. 2. 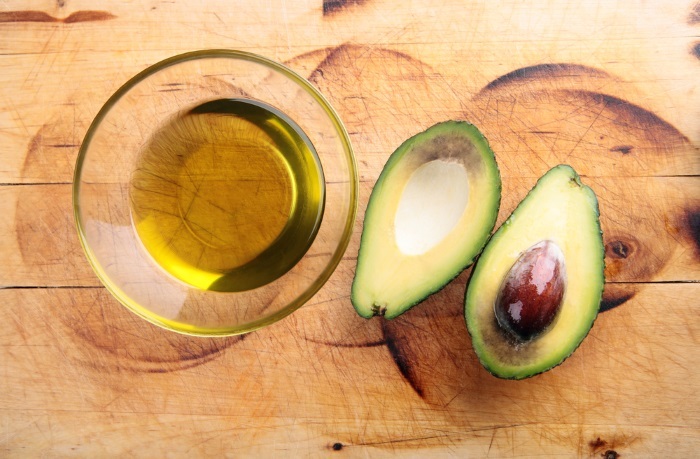 Measure 1 teaspoon of the avocado oil into a container or bowl. 3. Add a couple of drops of the thyme oil and mix together. 4. Use your fingers to rub the oil mixture into your skin. 5. Repeat once per day. You probably know that Chamomile tea has medicinal effects when ingested, but did you know it can also be used on your skin to combat acne? When applied to the skin, its ability to inhibit the release of histamine calms down inflammation and can reduce the acne vulgaris lesions. Chamomile compresses have been shown to have a superior effect to 0.5% hydrocortisone cream in the reduction of inflammation (48). Like a lot of natural remedies that work, it also has antibacterial properties that can rid your skin of acne causing bacteria. It’s also beneficial to drink the tea as well, but for topical application you can use it as a toner to apply to your skin and directly fight your acne. 1. Buy some chamomile tea. 2. Measure out 1 tablespoon of chamomile, or 2 tea bags, into a saucepan. 3. Add about a cup of water. 4. Heat the water until it boils, and then turn off the heat and allow it to steep with the lid on for about 20 minutes. 5. Use a coffee filter placed in a sieve or some cheesecloth to strain the mixture, and collect the liquid in a bottle or jar. 7. Wash and dry your face. 8. Apply to your face using your fingers or a brush. 10. Keep any left over toner in the fridge for further use. 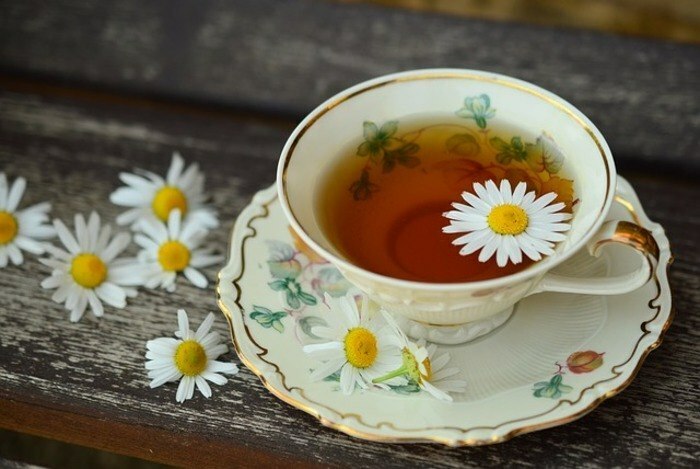 Pregnant women should avoid drinking chamomile tea, as its ability to stimulate the uterus can increase the chances of abortion. Not to be consumed by people on blood thinners. Brewers yeast is known to most people for its key role in the production of beer, but scientific studies have also shown that this simple fungus can play a role in acne treatment as well. 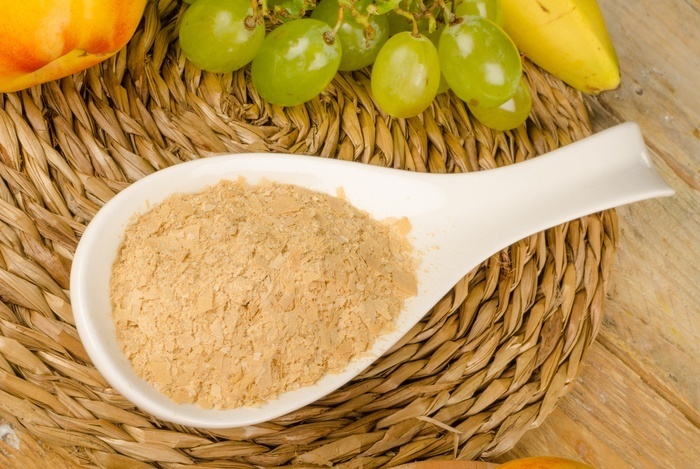 One study showed that 80% of people given nutritional brewers yeast over a five month period saw their acne cured or significantly improved (49). The type of brewers yeast used in nutritional supplements is the inactive form of the yeast, which means that the yeast has been killed and has lost its fermenting powers. What it does still contain is a high chromium content, that helps your body to fight against and prevent acne. 1. Purchase a brewers yeast nutritional supplement. 2. Take one or two tablespoons per day. 3. You can add it to food, water, or fruit juices to make it easier to consume. Brewers yeast supplements can interact with certain medications, so you should check with your doctor before taking it. People with a yeast allergy should avoid taking it. Brewers yeast isn't recommended for use by children, as it hasn't been sufficiently studied. Side effects can include an increase in gas and bloating. Turmeric face masks have a lengthy history of use in Asia, where they are a well-known part of both Indian and Chinese traditional medicine. 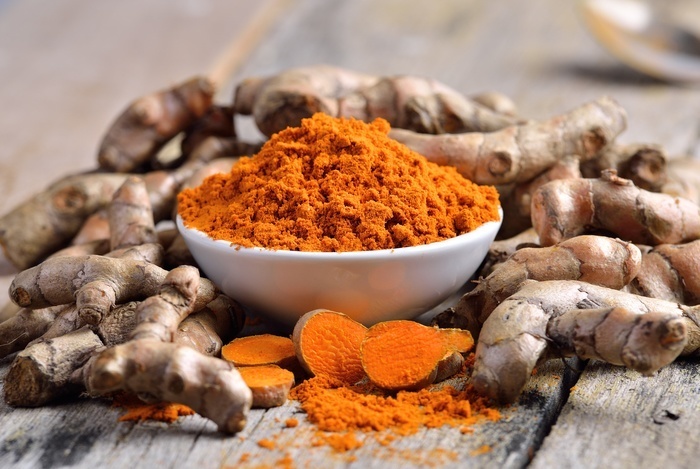 The active ingredient in turmeric is a compound called curcumin, which tests have shown to have strong anti-bacterial activity against acne-causing bacteria (50), and usefulness in reducing inflammation and inflammatory disorders (51). It’s commonly used in Ayurvedic medicine for this reason. It’s useful for removing lines from the skin, diminishing wrinkles, and giving the skin a more youthful glow. These anti-aging and skin rejuvenating properties are the reason that it used to be a traditional part of a brides wedding preparations in South Asia, to prepare the bride to look her best on her big day. 1. Purchase turmeric powder, rice flour, and a carton of plain yogurt. 2. Take 1 teaspoon of turmeric, 2 teaspoons of rice flour, and 2 tablespoons of yoghurt and mix them together in a pot or bowl. 4. Apply it to your face using a brush or your fingers. 5. Leave the face mask to dry on your face for 15-20 minutes. 6. Wash the mixture off your face with water, softly scrubbing as you do it. 7. Use the face mask twice a week for best benefits. 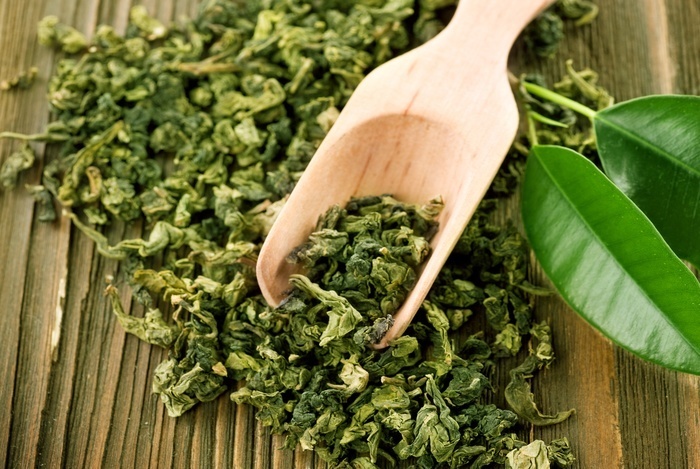 Topically applied Green tea is a highly effective acne treatment. Studies have shown that it is as effective as Benzoyl Peroxide and Erythromycin, topical antibiotics that are commonly prescribed by doctors to acne patients. It also works faster, with green tea lotion showing more than a 50% reduction in acne lesions in an 8 week period, compared to the 12 weeks taken by the antibiotic cream (52). One of its key properties is its ability to reduce sebum production by the skin. One scientific study has shown more than a 70% reduction in an eight-week period (53). It does this by blocking the androgen hormones responsible for overactive sebum production which has been shown to have a direct link to acne and oily skin. Its antibacterial properties kill acne causing bacteria, and it’s also a significant anti-inflammatory. Green Tea reduces the development of acne by limiting your body’s inflammatory response when pores become clogged by sebum and dead skin cells. Green tea moisturizing lotions can be purchased in the shops and online, but you can make your own by combining it with coconut oil. Coconut oil also has anti-inflammatory and anti-bacterial properties, so together they make a potent anti-fighting mix. If you don’t want to use coconut oil you can substitute it for another oil that’s good for the skin like grapeseed, argan, or avocado oil. 1. Purchase virgin coconut oil and some green tea. 2. Pour 1 cup of Coconut Oil. 3. Open the tea bags and measure out 2 teaspoons of green tea leaves. 4. Heat up a pan, and melt the coconut oil in the pan. 5. 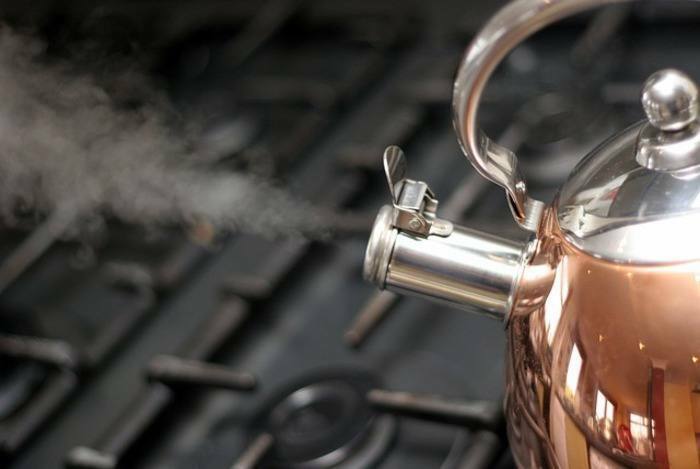 When the oil has melted, add the tea leaves and let it simmer on low heat for 1 hour. 6. Turn off the heat, and let the mixture cool down a bit. 7. Pour the oil through a piece of cheesecloth into a bowl, to separate the leaves from it. 8. Use a fork or whisk to whisk the oil until it becomes firm. 9. Let the oil cool off completely until it's solid (you can put it in the fridge). 10. Whip it using a fork. 11. Wash your face and apply the moisturizer using your fingers. Some people might find that they're allergic to a treatment method that's listed above. It's best to find that out before putting it on your face, so do a quick test with any new natural treatment. Apply a small amount to the back of your wrist and leave it for 15-20 minutes. If your skin isn't irritated by it then you can progress to trying it on your face. Pregnant and nursing mothers should be particularly careful before using a treatment method. Check first with your doctor to make sure it's OK to use. Many natural remedies are not advised for use on very small children. If you are on medication for a health problem it's best to consult your health practitioner before starting a natural treatment method. As a general precaution, it's a good idea to avoid your eyes and lips when applying a natural treatment to your face, as it may cause dryness and irritation. Some of the natural cures listed above help to clear acne by exfoliating dead skin. It's important to use a natural sunscreen on your face when you go outside while using these treatment methods, as this process makes your skin more vulnerable to UV rays. Natural treatments that are effective for healing acne are all around us, and the skin care industry are increasingly using them in some of their expensive skin creams and lotions. You can get started today by choosing one of the remedies above and following the directions that we have laid out. Some of the treatment methods are complementary and can be used at the same time. For example, a method that involves a dietary supplement could be used in conjunction with a topical treatment that has antibacterial action. Acne doesn’t just affect your face, it can also breakout on your buttocks, legs, thighs, arms, chest, body, shoulders, neck, and back. All of the methods listed can be used to treat any of these problem areas. If what you try at first doesn’t work out, remember that everyone’s different and you might have to experiment to find the method that works best for you. Let us know about your successes in the comments below!